It is most popular in the countries, India & United Kingdom. 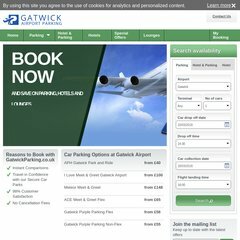 Topics: Faqs, Airport Car Parks, Hotels & Parking, Vip Airport Lounges, Before You Go, and Around Gatwick. Age: It went live on March 7th 2000, making it over 18 years, 0 months old. The estimated 1,708 daily visitors, each view 2.60 pages on average. mapsinternational.co.u.. Buy Wall Maps and Travel Guides from Maps International Online Shop. Its IP Number is 109.123.77.100. ns2.safeukdns.net, and ns1.safeukdns.net are its DNS Nameservers. PING (109.123.77.100) 56(84) bytes of data. Website load time is 1503 milliseconds, slower than 46% of other measured websites. As well, a ping to the server is timed at 96.5 ms.